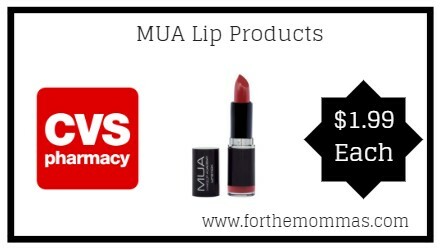 Starting 2/10, CVS has a great deal on MUA Lip Cosmetics. 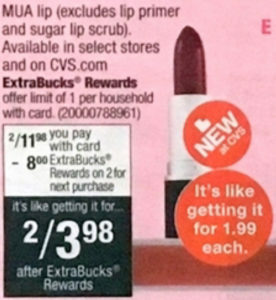 CVS has it for only $5.99 each plus you will receive $8 ExtraBucks when you buy 2 of this product that will make your final price only $1.99 each. Save $1.50 off any TWO (2) Clorox® Scentiva® Products. Any scent.